Those who have heard the Messiah will find their favorite choruses brought powerfully to mind as they experience the music through this unique medium of visual art. Experience the broad scope of the biblical story from Christmas to Easter. Messiah is a book not just to read but to savor. Brief notes accompanying the art provide insight into the technique, warmth, and humanity of the artist. With seemingly endless creativity in applying color on paper, Botts brings letters to life and gives wings to words. God has blessed his creatures with countless differing gifts, and Timothy Botts's is one of the most unusual. 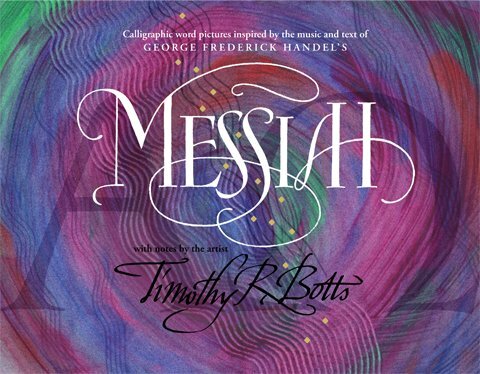 The grace, vibrancy, freshness, and poignancy of these word pictures are inspirational and should be meaningful to all those familiar with the great texts of the Messiah by George Frederick Handel.